Have you ever made a festive cake from a ready-made cake? Well, this is the first time I have made one but not from a store-bought cake. Just imagine, this moist chocolate cake that I used, was one of the cakes I made for Christmas 2017. As I had baked this for unannounced guests, I stored this in the freezer until today. 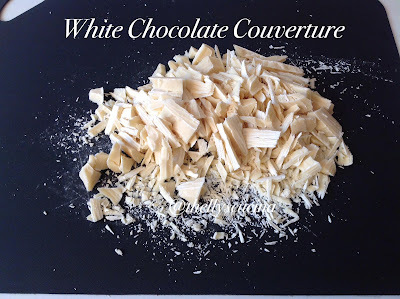 It was good that I remembered this frozen cake and so I thought to make Valentine´s Day cake dessert decorated with white chocolate couverture and coconut cream, as a sauce over the cake. It was and it is still delicious. How I wish I could give you a slice or two. Well, I will bring some slices at work tomorrow. Put the chocolate cake on a cake platter. Put the white chocolate couverture and the coconut cream in a pot. Melt them together in a medium heat. 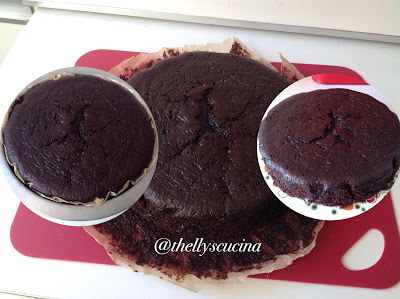 When the chocolate has melted, add the chocolate glaze on the cake. 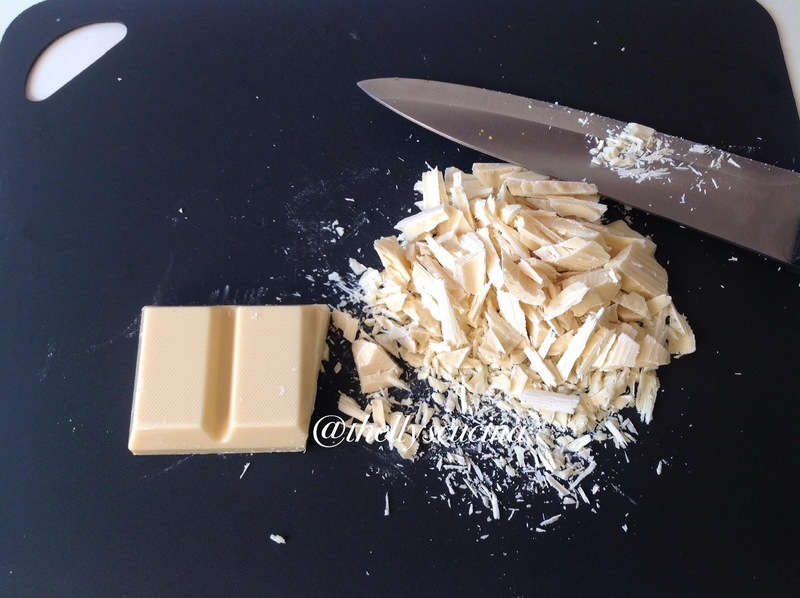 If you use 100 g of coconut cream, the chocolate is like a sauce over a cake. Decorate the cake with the hazelnuts and sprinkled heart. Of course, you can decorate this cake the way you want this to be. 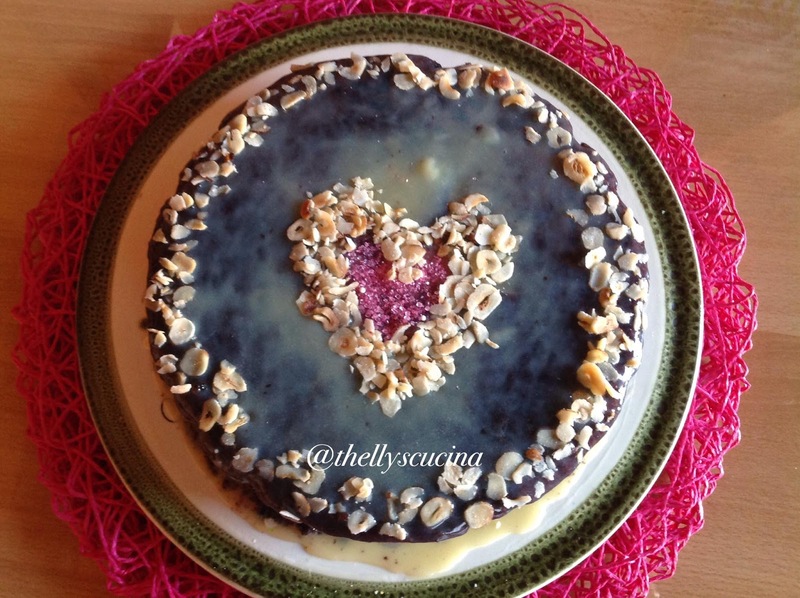 Enjoy your Valentine´s Day moist cake dessert. 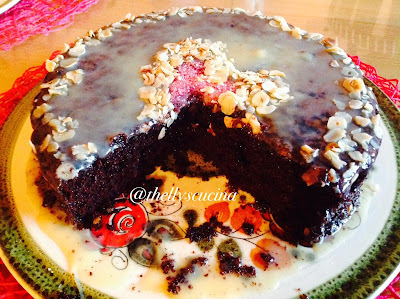 The moist chocolate cake (recipe on the link of my Minecraft cake) I baked last Christmas. White chocolate couverture, chopped and unchopped. Valentine´s Day Moisty Cake from a Ready Made Cake. Yes, it was heavenly Susan. Thanks for dropping by. Yummy! I want a slice right now! How I wish I could give you a slice Angie. It was indeed yummy! I only know now that a frozen chocolate cake is more delicious than a freshly baked one. Very chocolatey. Thanks for your visit. Yes, it was indeed Caz. 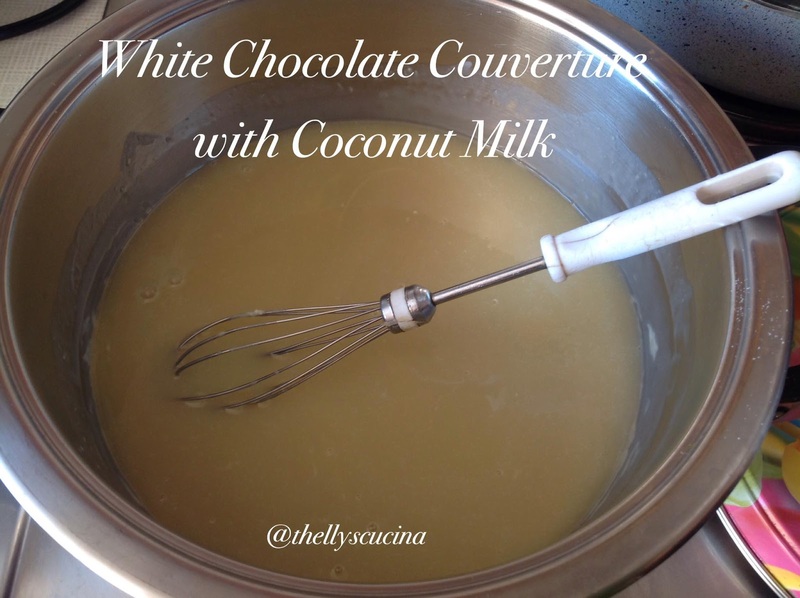 I was thinking of the ingredients I could use when I am in the Philippines and thought of the abundant coconut fruits I have in my backyard. Double cream is expensive in my home country and so I thought of the coconut cream.Thanks for your visit and have a great weekend there in the sunny Thailand.